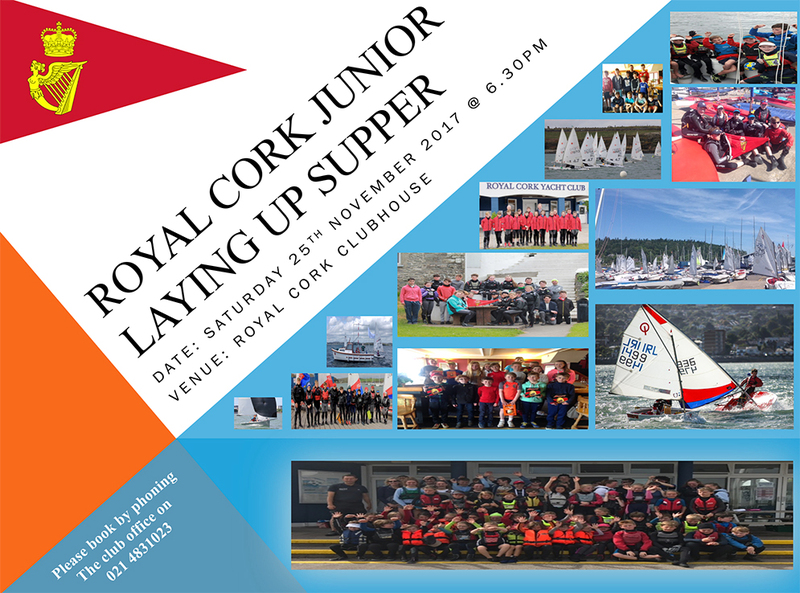 In order to celebrate another fantastic year of Royal Cork Junior Dinghy activity, the Junior Laying Up Supper will take place on Saturday, 25th November coming. All club junior members, along with their parents or guardians are invited to celebrate what was another fantastic year right across all our Junior activity within the club. In order to effectively cater for numbers, please complete the survey here stating the name(s) and number of attendees from each family on the night. We look forward to all our junior sailors and parents enjoying a well earned evening in the club.